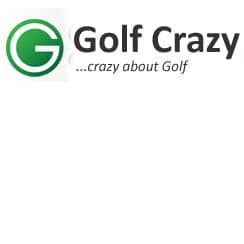 Golf Crazy is proud to be actually chosen by every one of "TOP TEN MANUFACTURERS" to custom fit their range of golf equipment. These include: Callaway, Ping, Titleist, TaylorMade, Nike, Mizuno Wilson Staff, MD,Cleveland, & Cobra/Puma. "This enables us to give our customers real choice unlike some others who are dedicated to one or two brands." All their professional staff are fully trained by these manufacturers to highest possible standards and they are aware of all the features and benefits of every product. They have thousands of component options within their 12 or so fitting carts, using these and "state of the art" FlightScope golf launch monitors, together with their vast hands on experience, they are best equiped to provide their customers with the correct specification and best performing equipment on the market. Fittings start at £25 Call 01132 87 1111 to book.